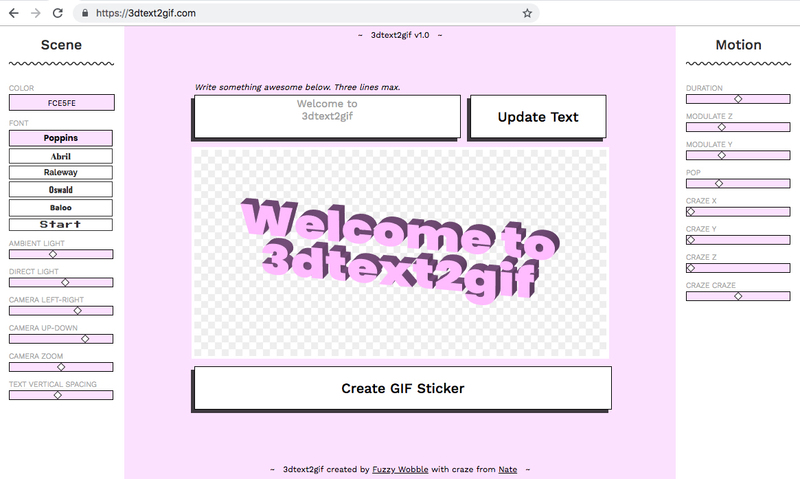 3dtext2gif – A web tool I created to export animated 3D text as GIF stickers! Animated 3D text has always been part of the internet, dating back to early GeoCities days. But it has never been all that easy to create unless you had both patience and specialized 3D software. Two things, I do not have. So I spent a weekend making it easy and accessbile to create animated 3D text. A gift for the good people of the internet :) The tools is linked up with GIPHY, so all GIFs end up on the 3d2gif channel.